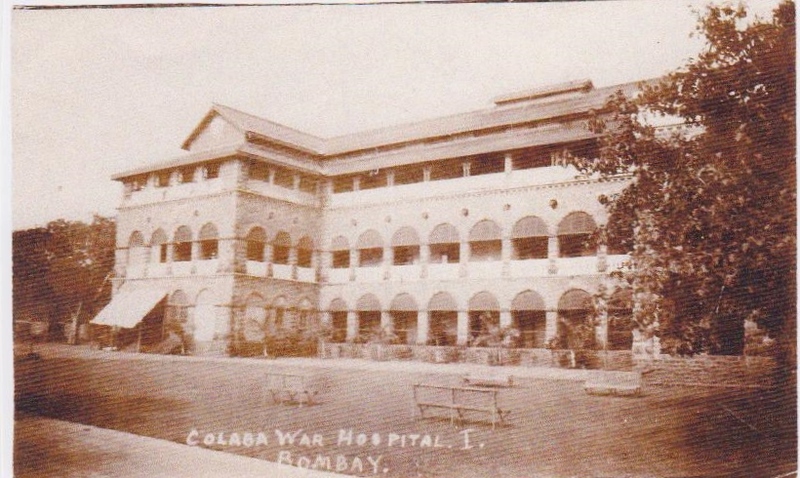 He was injured in Mesopotamia and taken to the Colaba War Hospital in Bombay to recuperate. 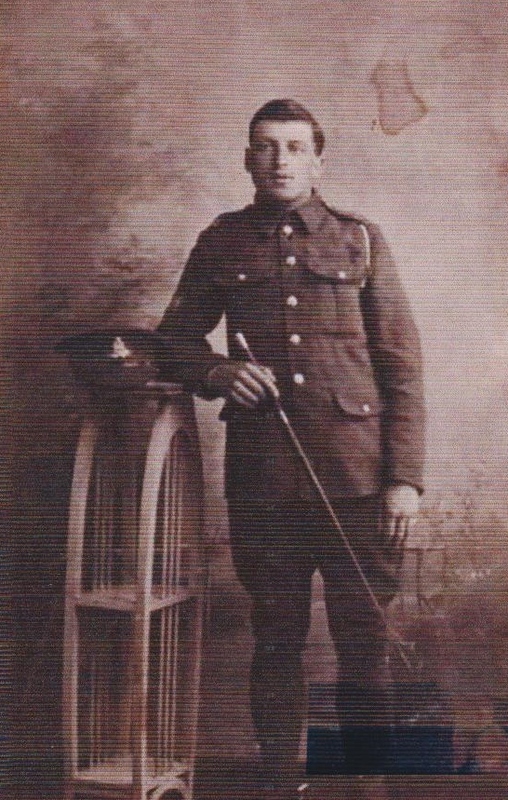 In July 1919 he sent his parents (Luke and Emma) a telegram saying he would be home soon. The next telegram they received soon after told them of his death from pneumonia. (this information is from a Haslingden newspaper of the day). His young wife was Mary formerly Kelly. He was 27 years old when he died on the 10th July 1919. 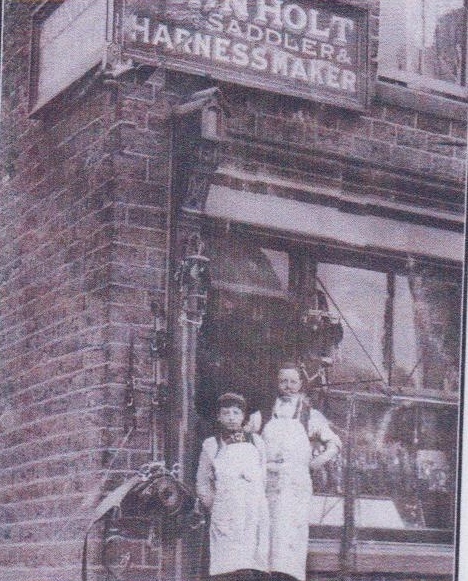 He was an apprentice sadder to John Holt whose shop was at the bottom of Chapel Street off Bury Road (now a butchers shop) across from his father's workshop at the opposite side of Chapel Street were his four other brothers worked. He was the youngest member of the family. Mr. Luke Ralph, the well known metal worker, and Mrs. Ralph, of Chapel Street, Haslingden, on Tuesday received notification by cable that their youngest son, Saddler Craven Ralph, of the R.F.A., has died from pneumonia at Colaba Hospital, Bombay. The notification was a great shock, for on June 11th a letter was received from the young man saying that he was then at the base waiting to come home, and would not write another letter, but would wire on his arrival in England. When the cable announcing his death was delivered, it was assumed that it would be his wire announcing his arrival in England. 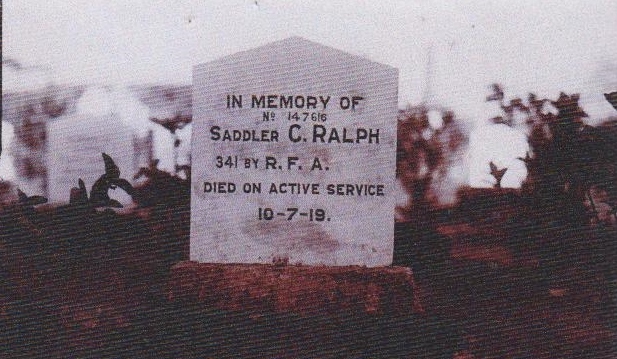 Saddler Ralph was 26 years of age. 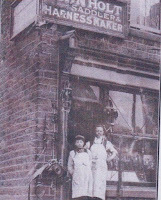 He was brought up at Haslingden Church schools, and served his apprenticeship as a saddler with Mr. John Holt, Haslingden. Four years ago on Wednesday of this week he was married, and made his home at Pickering Street. Soon after he enlisted. He had been in Mesopotamia three and a half years, had only 72 hours leave in that time, but always referred to himself as being "in the pink." He was a very popular young man. There are no children. "Colabo War Hospital in Bombay where Craven died"